Our family is dedicated to continuing to play a central role in the revival of Irish whiskey as one of the world’s most appreciated spirits. We are doing this through the recreation of some old recipes from the 19th century, Ireland’s golden era of whiskey distilling, and also through the introduction of innovative new expressions for new palettes in a new era. We are passionate for both innovation and attention to detail. Detail in our choice of location for our distillery in an area blessed by the ingredients and climate to make world-class, premium whiskey. Detail in the creation of a distillery for distiller, visitor and whiskey-drinker alike – where manual operations reign supreme over machine so that innovative small batches can be crafted to perfection. We believe that our passion, innovation and attention-to-detail make a real difference to the enjoyment of people who choose our whiskeys and so they drive our family’s dream to create a legacy of whiskey excellence. 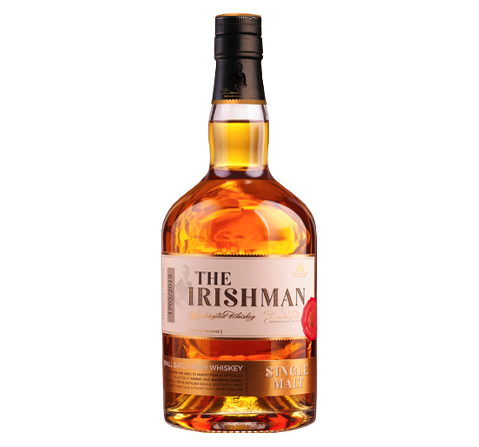 The Irishman brand represents the rebirth of the 19th Century tradition of Family owned provincial whiskey distilling that thrived during the last golden age of Irish Whiskey at the end of the 19th century. In a hands-on, hand-crafted way Bernard Walsh and his family produce whiskey in the same way as the 19th Century distilling families. 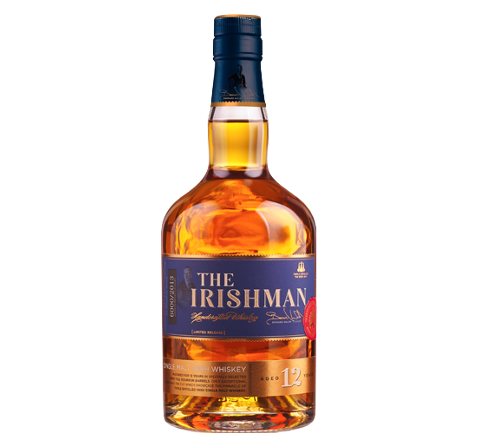 Bernard Walsh’s love and dedication to the whiskey craft has helped to forge ‘The Irishman’ range of tripled distilled whiskeys, whose smooth and warm glow, perfectly express the unique Irish spirit of friendship and shared welcome. The Irishman brand name is well researched, being seen to be reliable, authentic, solid and indicative of good quality. It also fits strongly with the brands positioning and clearly highlights its Irish provenance. Internationally, Irish Whiskey is perceived as being accessible in taste and image, being less conservative than scotch and, on occasion, lower key rather than stuffy and formal. Irish whiskey has a high quality image; it is seen as authentic, traditional and sociable, ideal for sharing with others. Irish People are seen as down to earth, genuine, hardworking, reliant, tough and spirited. They are also sociable, hospitable, welcoming and friendly.